Most precious metals declined Wednesday. Palladium was the exception, ending at yet another record for its third straight daily string of them. Gold, meanwhile, slipped from an almost 21-week high. Gold for February delivery shed $4, or 0.3%, to settle at $1,242.60 an ounce on the Comex division of the New York Mercantile Exchange. "With risk sentiment stabilizing, well kind of, the gold market is taking some profits," wrote Stephen Innes, a head of trading at Oanda, in a Wednesday research report according to MarketWatch. "Overall its time to hit the pause button until markets open until after the day of mourning," he said. 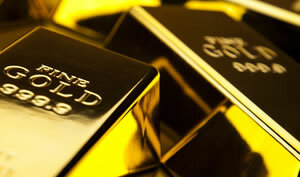 Gold futures ranged from a low of $1,238.70 to a high of $1,244.80. They gained 0.6% on Tuesday — marking their best close since July 12, and they rose 1.1% on Monday. Silver for March delivery declined 5.8 cents, or 0.4%, to settle at $14.582 an ounce. Silver futures traded between $14.49 and $14.62. They advanced 1% on Tuesday for their strongest finish since Nov. 5, and they jumped 2% on Monday. January platinum dipped $2.20, or 0.3%, to $802 an ounce, ranging from $793.30 to $805.70. Palladium for March delivery rose $4.20, or 0.4%, to $1,184.40 an ounce — a new record. Palladium traded between $1,176.50 and $1,198.30. Gold declined $4.40, or 0.4%, to 1,235.90 an ounce. Silver fell 6.5 cents, or 0.5%, to $14.48 an ounce.